The organizational trend of evolution rather than revolution is currently at its peak regarding digital transformation projects. Enterprises have adopted a convergence path called DevOps. Instead of using the classic tiered structure that groups teams according to discipline, DevOps teams integrate workers from different departments in order to enhance communication and collaboration. This paradigm promotes a faster project development life cycle because it eliminates the interdependencies that exist when functions such as software development and IT operations are completely separate functions. While this closed-loop paradigm is being implemented at the organizational level, it is still lagging in the supporting infrastructure. Complex integration workflows and slow data pipelines are still the leading architecture choices. 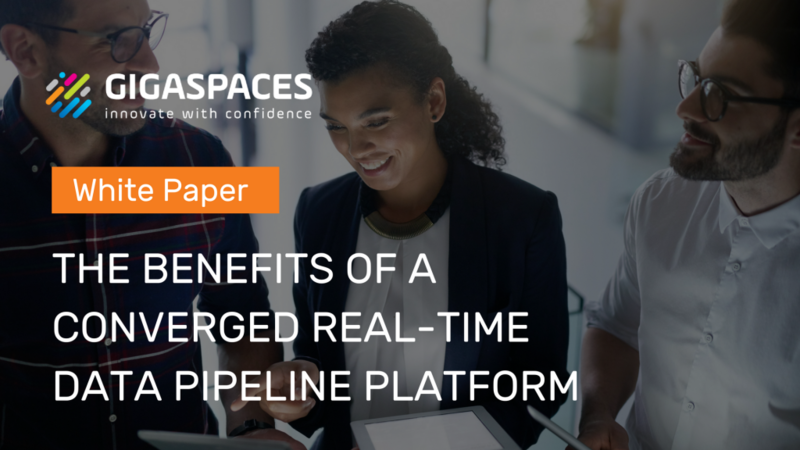 This is due primarily to the power of inertia, which preserves old SOA concepts and slows the adoption of technologies that simplify integration and provide much faster data pipelines. A unified data and analytics platform is needed to provide extreme data processing, fast data ingestion, and advanced analytics. GigaSpaces’ InsightEdge Platform breaks away from the traditional tiered approach and provides a simpler, faster workflow by consolidating the In-Memory ingestion and processing tier together with the analytical tier in a tightly coupled microservices architecture. To learn more about GigaSpaces’ InsightEdge Platform visit our site.